The end of Matt Duchene’s Avalanche tenure — and the saga that led up to it — was bizarre all around. A disgruntled Duchene reported to training camp and delivered a 14-second declaration to media in the dressing room, saying he was there out of respect for his teammates and the fans – and then walked away. As the weeks passed, he made it clear that substantive questions about his situation with, and attitude about, the organization wouldn’t be answered. He was cordial up to that point, but when I tried to test or even more clearly define the boundaries, and I wasn’t alone in doing so, he said he wouldn’t be suckered into talking about all of that. Even last week, when I spoke with Duchene at Family Sports Center after practice, I honored the parameters until I turned off the recorder, showed him it was no longer running, and asked: By now, was there anything else he wanted to say? If that was the case, I’d turn the recorder back on. He said no, and added that wasn’t going to change. His second-to-last game in the Pepsi Center was Wednesday. He was wearing a baseball hat. He and his wife of four months, Ashley, sat in the front row along the baseline and watched the Nuggets rout the Toronto Raptors. Then Sunday night, there he was in the first period, logging 1:59 of ice time in two shifts against the New York Islanders and then following the injured Blake Comeau off the ice at the corner of the Barclays Center in Brooklyn. There was no slipping off the bench to an adjacent dressing room, given the configuration of the basketball-first arena, and since he didn’t appear to be injured, the most likely implication was obvious. 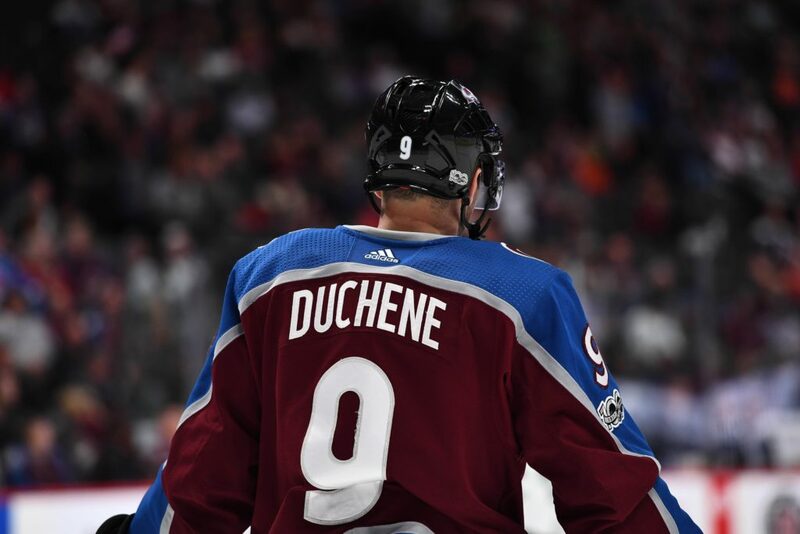 After months of speculation, after months of maneuvering, after months of deterioration in the relationship between Duchene and the organization, the 26-year-old center finally was traded. Eventually, as the game continued, details emerged. — Duchene went from Colorado to the Ottawa Senators, which added to the weirdness, given that the Senators and Avalanche will meet in back-to-back games at Stockholm Friday and Saturday. So Duchene’s first games for Ottawa will be against the team he revered growing up and, ultimately, played 585 regular-season games and scored 178 goals for after going to Colorado at the third overall choice in the 2009 draft. — Center Kyle Turris went from Ottawa to Nashville. — The Avalanche pulled off a haul. To call it a steal requires faith in the Avalanche’s ability to judge the potential of prospects, including those of other teams, and to make the most of draft choices. The organization’s recent track record there is mixed. So I won’t go there. Not yet. 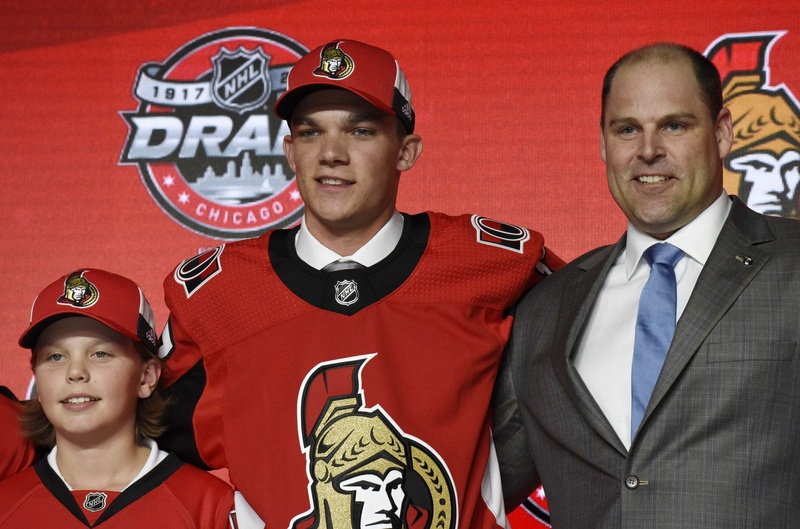 From Ottawa, the Avalanche landed the rights to Boston University freshman center Shane Bowers, who was the Senators’ No. 1 pick this year; journeyman goalie Andrew Hammond, who was with Belleville of the AHL; and a No. 1 pick in 2018 and a No. 3 in 2019. (The No. 1 is lottery protected, but that will be irrelevant.) The Senators did manage to keep highly regarded center Colin White, 20, out of the deal. 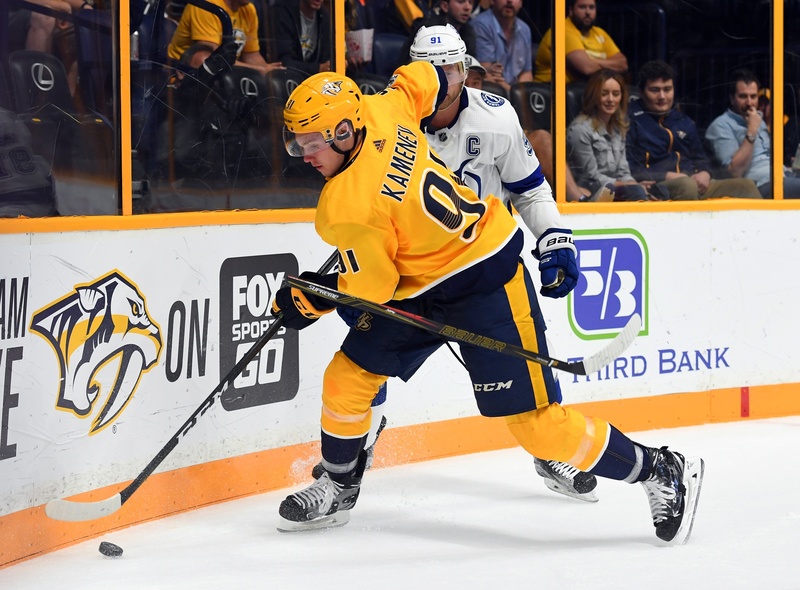 — From Nashville, the Avalanche acquired defenseman Samuel Girard, 19; forward Vladislav Kamenev, who was in the AHL with Milwaukee; and a No. 2 pick in 2018. Although it would be naive to buy into any portrayal of this package as being reminiscent of the Herschel Walker or Eric Lindros deals — the ones that made champions of the Dallas Cowboys and, yes, the Avalanche — it at least is in step with GM Joe Sakic’s continuing quest to reforge this team as a younger and faster model. It also cleared considerable salary cap room for the short term … and, yes, it chased an elephant out of the room. Girard, plus the sheer volume of promising players, was the key to the deal. 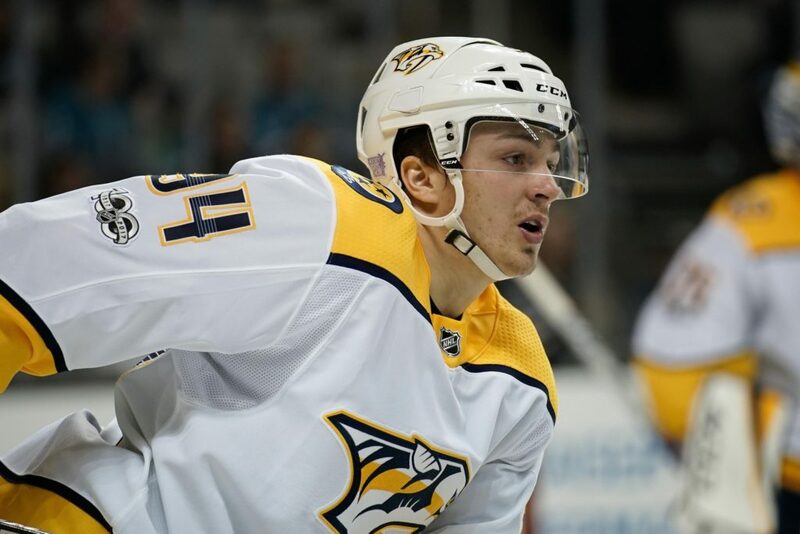 Girard is a puck-moving, undersized defenseman, at 5-10 and 162 pounds; was Nashville’s second-round draft choice in 2016; and starred in major junior for Shawinigan of the Quebec Major Junior Hockey League, collecting 150 points in 126 games. In type, he resembles Tyson Barrie … or Will Butcher. It’s apparent that at this point, the saga still isn’t complete, and frankly, Duchene seemed to be trying to go out with diplomacy rather than bitterness. That “great story” will have to wait for another day. The interview was aired on Altitude, which of course also is Kroenke Sports-owned, but the network nonetheless did a terrific job of getting and showing the interview, then also carrying Keefe’s chat with Sakic during the game and Sakic’s post-game availability. Yes, they all are part of the organization, and this was a way of getting Sakic’s assessment out there in a sympathetic setting, but that’s not always easy to pull off, either. He put the organizational spin on the deal as a huge step in the rebuilding and makeover, and he might turn out to be right. Duchene is headed for Stockholm, as planned. He just won’t be playing for the Avalanche there. “It’s a learning experience, a growing experience, it’s part of the business,” Duchene said. “None of this is personal, it’s business. I can’t say enough good things. Colorado’s given me so much. My wife’s from there, we got our dog there, a huge part of my life and my heart has been there. It’s very emotional to be saying goodbye. Maybe one day I’ll be back. It was a honor to play for Joe and (Patrick Roy) and to have played with (Peter) Forsberg and all those guys. That was something I dreamt about as a kid and I got to live it. This all is rather weird, yes. What we know is that Duchene, the student of the game, wasn’t able to shrug off being shopped so aggressively and soon was hoping for a deal. Or more than that. Landeskog was named Avalanche captain at age 19 in September 2012 and has filled that role since, for three head coaches. Duchene is 22 months older and while a case could be made for him as Colorado’s top player, and he led the Avalanche in scoring three times, he wasn’t the captain. Roy considered making a change after taking over in 2013, but didn’t and Landeskog — who also has been shopped in Sakic’s explorations — grew into the role. This season, Landeskog’s assistant captains are Nathan MacKinnon and Erik Johnson. Any acknowledgment that this is a business should come with the concession that any general manager has the obligation to explore any deal that will make a team better. That was the case when Sakic played and the furtive Pierre Lacroix operated under the cone of silence in a time when that was more possible; and it has been the case since. Duchene mostly was a good soldier, accepting the Avalanche’s concept of “structure,” accepting a bridge contract and then a five-year, $30-million extension that runs through 2018-19. He isn’t yet eligible to sign another extension, but that doesn’t rule out talks, assurances or even promises. Through his ups and downs on the ice, he seemed capable of both denial — that next shot was going to go in, darn it — and allowing struggles to snowball, to paralyze his game and get him down. 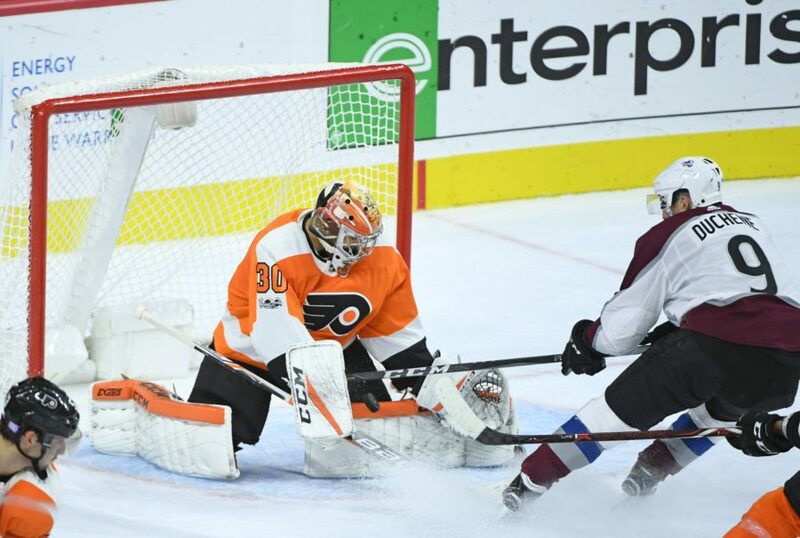 But he still had that 30-goal season in 2015-16 and at times seemed on the verge of stepping up to the league’s elite level before he — as nearly everyone in a Colorado sweater did — was unproductive last season, with 18 goals. The brouhaha over his 30th goal in what turned out to be Roy’s final season was indicative of what could rub some the wrong way. While a team player in most ways, Duchene’s celebration of the 30th goal near the end of a 5-1 loss to St. Louis made Roy furious. And then figure in the relentless trade discussions and rumors, and it ultimately became awkward. I still believe he might have been able to play through this and stay — he did have 10 points in 13 games for the Avalanche this season with this all hanging over him — but now that’s moot. He moves on to the Senators and will be playing about a two-and-a-half hour drive from his native Haliburton, Ontario. Two weeks after Duchene was drafted, he attended the Avalanche development camp and then went to the Inverness Hotel to attend Sakic’s retirement news conference. Duchene never got to play with one of his idols, and the relationship would evolve to player and GM. The storybook had a sour ending.